Talent Spotter #11. Featuring Author Elaina J Davidson. – Welcome to the World of Suzanne Burke. Please join me as we explore just one of Elaina J Davidsons many books. Firstly lets take a glimpse into Elaina’s world. And now … her book for your enjoyment. On the banks of a river, a boy sees and hears a girl laughing, the most glorious music, and falls in love. Time, however, is not the same for them. Erin is human; Kell is something other. Kell watches her from the shadows under the willow at the water’s edge, refusing to surrender to their differences. For Erin he plays the most beautiful music, for he may never speak to her and she cannot ever see him. Music becomes their words. After his journey over the mountains to the east, at age ten, where he met and saw trolls, goblins, fairies and faeries – the former tiny, the latter man size- elves, dryads, gnomes, centaurs and many others, even the ever wary sidhe, he understood the warnings from his parents. He had grown in the years since Erin’s arrival, and heard the elders more readily. He listened to the tales of war, of dying, of being pushed north and east into the inhospitable regions where it was hoped the races would succumb, flourishing instead. He heard of the raiding parties also and once saw such a party in the distance. Humans came to pillage … and murder. He understood their swift years were their greatest disadvantage. During their sojourn over the mountains, he was tested. At age ten all boys and girls of the long-lived races were tested to discover their inherent talent, the factor that would earn them their keep in the march of years. Until his testing, he had not given it thought, but clearly his father had, for he brought forth the musical instruments from home. Ever when it got dark or the days too cold for the outdoors, Kell would sit and strum something quietly in a corner, softly singing. Already he knew most of the old songs. He loved reading also, but when searching for tranquillity, he found it in music. The purity in notes soothed his soul, especially when he could not see Erin for many days, the snow outside piled too high for a walk. Often, when the weather was again good, he took an instrument with him, to softly pick out notes upon the boulder under the willow. My review of ‘Minstrel of the Water Willow’ I purchased a copy for review. Author Elaina J Davidson… has crafted a beautifully written short story, both lyrical and moving. It has a delicacy of movement, that stands it apart from others in this genre. The author captures your imagination, for who isn’t attracted to a romance of unrequited love. Kell is drawn with clear definition, not human yet superbly empathic to human emotion. He falls irrevocably, eternally in love with a beautiful young woman, meet Erin, a laughing loving human. Kell cannot become visible to the woman he loves so deeply, so he plays for her his music, the sounds encompass her life adding to its richness. He watches her closely, and responds to her different stages of human existence with an accompanying melody. The depth of sadness he feels as he watches on, as his love suffers through the dreadful loss of her child, is reflected in the music she hears. Erin ages … Kell does not. Her body wizens and old age takes her in its declining hand. To reveal more would spoil this for the reader. Suffice it to say, this story will stay with you. I can’t recommend it highly enough to lovers of romance. 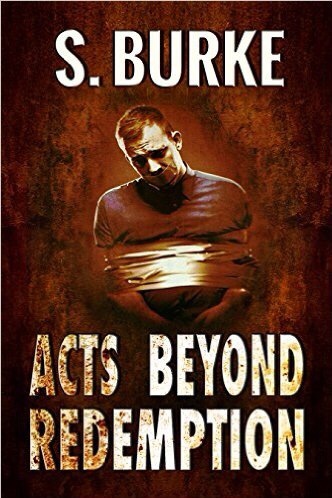 Now available for $0.99 on Amazon…link below. Anyone interested in writing an honest review in exchange for a free copy of “Minstrel of The Water Willow” please contact Elaina on her Blog or Facebook page listed below. Welcome to RRBC 2016 Book & Blog Party! My pleasure, Elaina. I enjoyed reading the book immensely. This is such beautiful, lyrical writing. I’ve loved Elaina Davidson’s work for a number of years now, but she just gets better and better. Thank you for this, both Elaina and Soooz! Thanks, Gerry. I thoroughly enjoyed the book, and I don’t usually read fantasy. I echo Gerry’s thoughts on your writing, Elaina. Your sentences almost read like poetry.